IT would be easy to miss the RM35 million compensation paid in 2011 to the owner of Pasarakyat — the market that once sat on part of a tract that is now the site of 1Malaysia Development Bhd’s Tun Razak Exchange (TRX). Ladang Impian 1 Sdn Bhd (LI1SB), a wholly-owned subsidiary of Loh & Loh Corp Bhd (LLC), had held a 15-year lease for the land on which Pasarakyat was built. Although his name does not appear on the list of shareholders and directors, Jho Low is believed to be behind LLC, which was delisted from Bursa Malaysia on Dec 21, 2010, after being privatised by Javace Sdn Bhd and PetroSaudi International. According to notes accompanying LLC’s 2011 audited financial statements, LI1SB was paid RM35 million for agreeing to terminate the lease — signed with the Federal Land Commissioner — less than seven years to its expiry on Jan 1 this year. LLC made a RM26.26 million gain on disposal, thanks to the compensation, the notes show. That means the compensation was four times the RM8.74 million that the asset was carried at in the company’s books. The compensation for the other parties that had to move to make way for the TRX is not known. LLC is owned by Selesa Produktif Sdn Bhd and ultimately owned by Datuk Che Abdullah @ Rashidi Che Omar through Ring Excellence Sdn Bhd and Collective Bridge Sdn Bhd, according to the latest filings with the Companies Commission of Malaysia. Che Abdullah was a director of SRC International Ltd when it was incorporated as a subsidiary of 1MDB in 2011. He resigned from the board of Tadmax Resources Bhd on Feb 28 this year but is still an independent non-executive director of Sime Darby Plantation Bhd, data on its website shows. LI1SB came under LLC following a settlement agreement with a debtor, as announced to Bursa on May 17, 2006. According to the announcement, the eight plots totalling 10.407 acres at Jalan Melati, off Jalan Imbi and Jalan Tun Razak, which came with LI1SB, gave LLC the opportunity to develop a prime leasehold land in Kuala Lumpur. Pasarakyat, which occupies four acres of LI1SB’s leased land, had a built-up of 118,000 sq ft on the ground floor and 7,000 sq ft on the mezzanine. 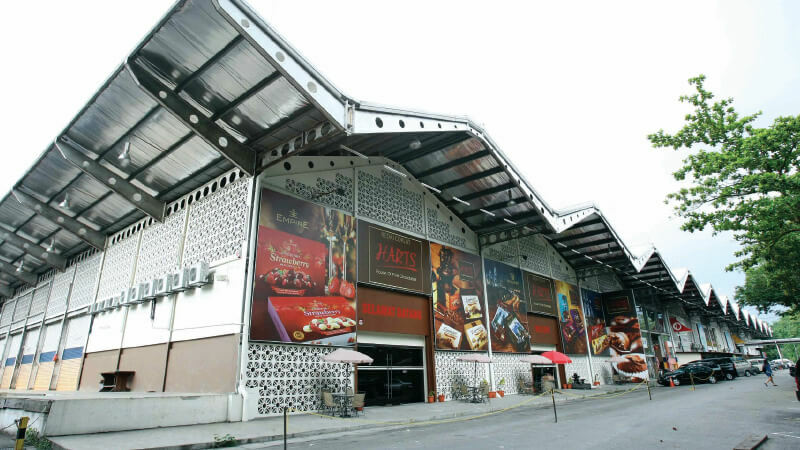 Old-timers in Kuala Lumpur would be familiar with the market — which had a variety of fresh produce from vegetables and fruits to fish, meat, herbs and snacks — that opened in January 2002. Opposite the market was a terminal with buses mainly plying the Kuala Lumpur-Singapore and Kuala Lumpur-Genting Highlands routes, and a car park with 500 bays. 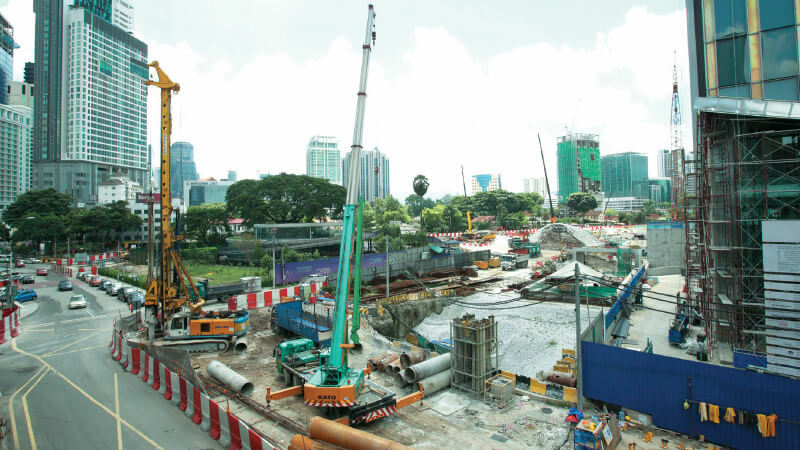 Pasarakyat, along with the Bukit Bintang market nearby, where 200 hawkers and traders were operating from, had to make way for the TRX, then known as the Kuala Lumpur International Financial District (KLIFD). Some Kuala Lumpur city folks would recall the Imbi Palace Restaurant in Jalan Imbi, which also had to make way for the KLIFD. It was reported then that news of the restaurant being torn down in April 2012 came as a surprise. At the time, 1MDB said it never contracted or authorised any party to demolish the restaurant but noted that occupants of land earmarked for the KLIFD had first been given notice to relocate on Dec 6, 2010. It is understood that the former Pasarakyat land is now the site of the Tun Razak Exchange MRT Station, which is the reason why the station’s working name was “Pasar Rakyat station”. Last Thursday, TRX City Sdn Bhd (TRXC) said it is looking forward to welcoming businesses in the first quarter of next year when the first phase of the TRX financial district opens its doors. Phase 1 of TRX, which TRXC CEO Datuk Azmar Talib said is 80% complete, comprises The Exchange 106 — a 492m skyscraper formerly known as Signature Tower — and Menara Prudential. Phase 2, which comprises a public plaza, streetscapes and the 10-acre Central Park, will be completed in 2020, in tandem with the opening of the Exchange Mall and the new headquarters for HSBC Malaysia and Affin Bank, a statement from TRXC dated June 28 read. On June 21, Finance Minister Lim Guan Eng said the government will provide RM2.8 billion additional funding to complete the TRX, bringing the total government backing, transfers and advances for the project to RM6.5 million. The following day, TRXC lodged a police report with regard to some RM3 billion cash transferred from TRXC to 1MDB between mid-2012 to early 2017 — cash that was meant to fund the development of TRX and Bandar Malaysia but 1MDB had diverted for other use.